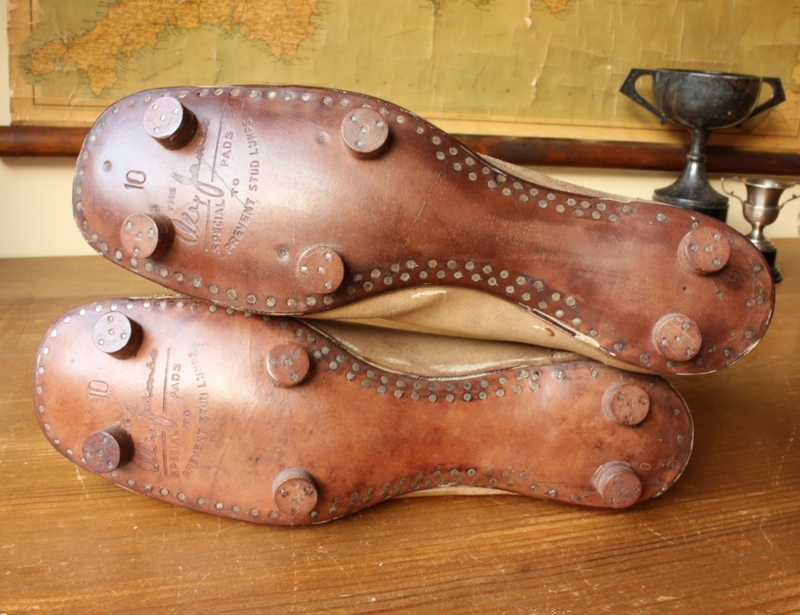 1930 Alex James Leather Football Boots. Boxed. 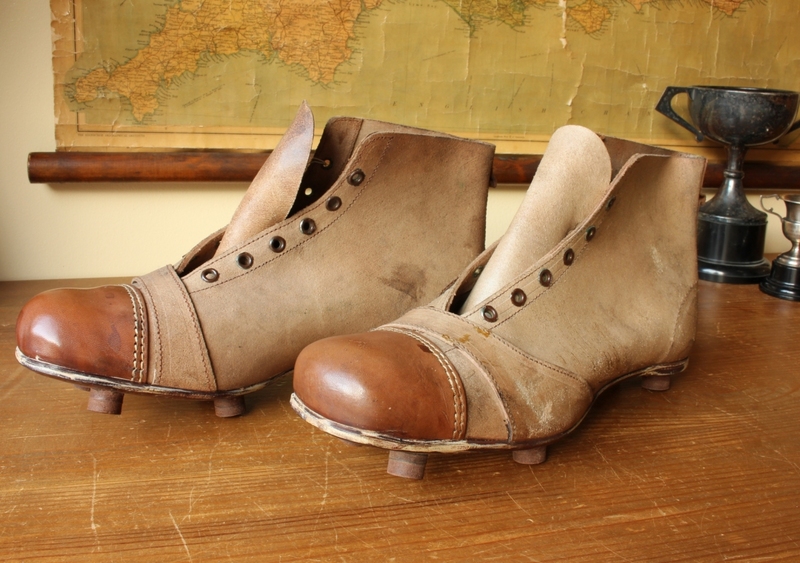 This wonderful pair of Alex James football boots which date from c1930 are made of brown leather with leather soles and nailed on studs. 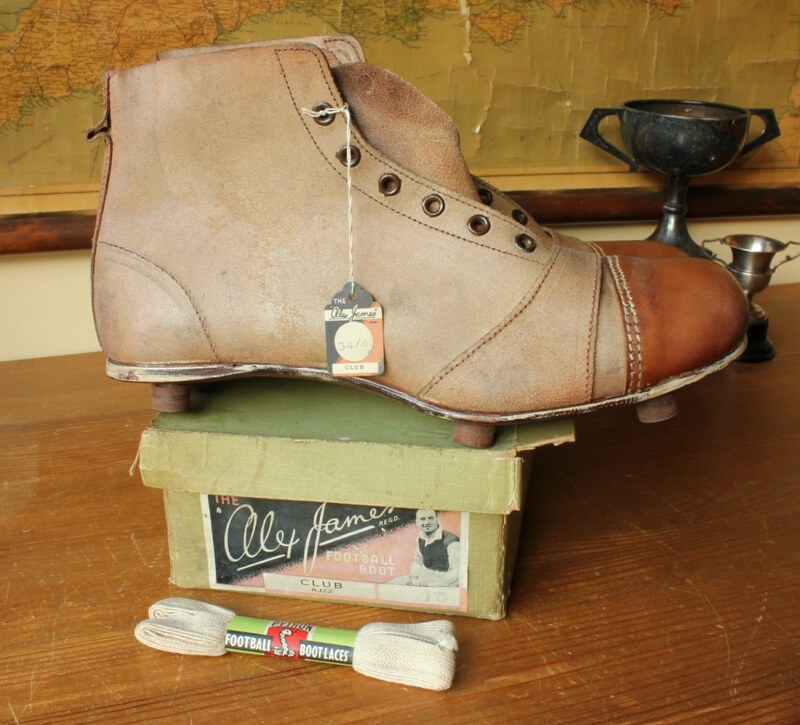 These original vintage boots are 'New Old Stock' so are in nice condition. 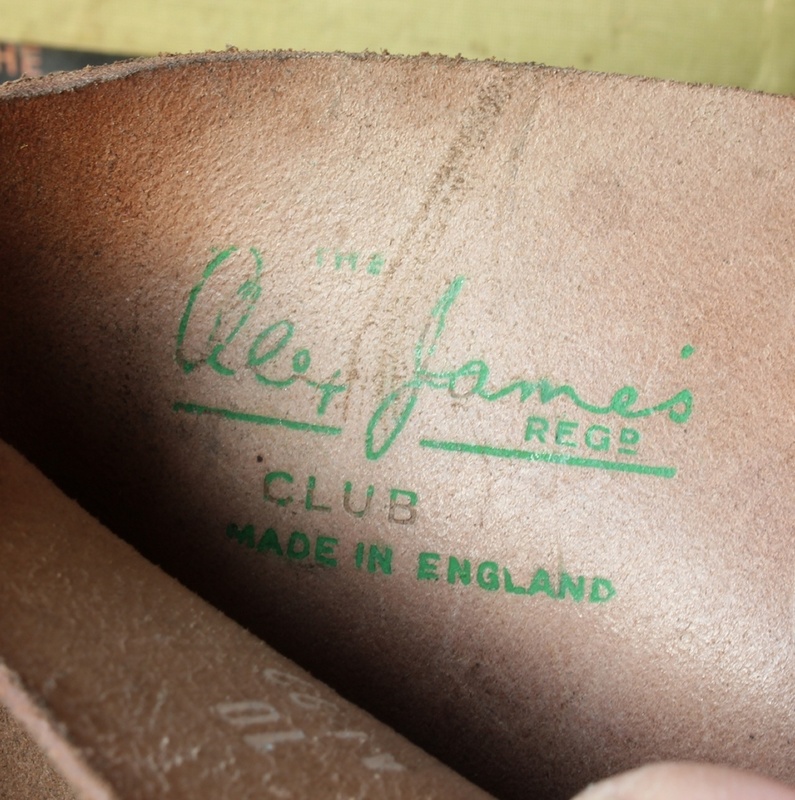 They have never been worn, feature the Alex James logo stamped on the inside and on the soles, are complete with unopen white laces and come in their original box. They even have the original price tag attached. 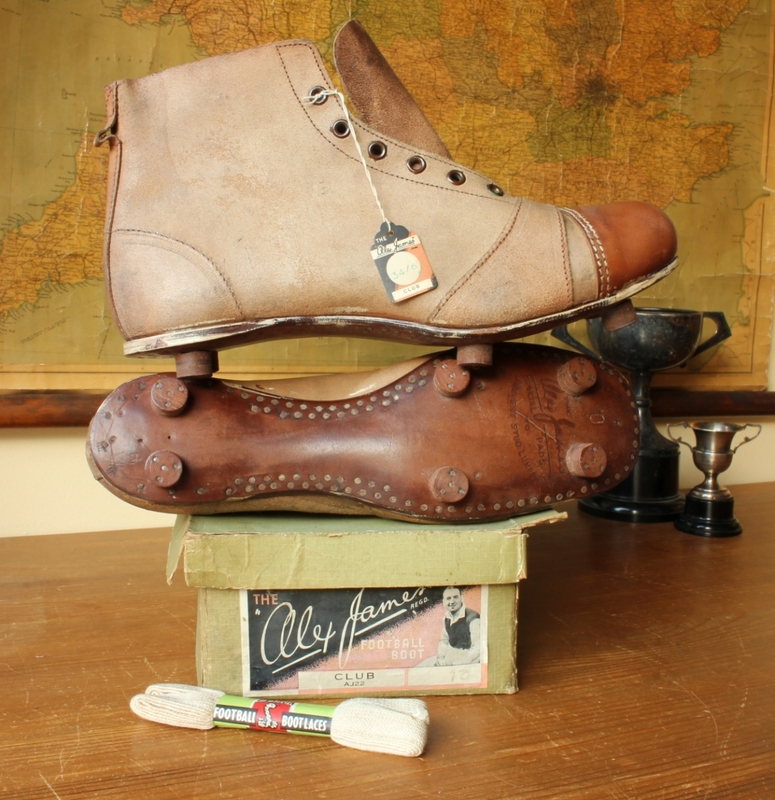 Alex James was a Scottish international footballer who played between 1922 and 1937 and won six trophies from 1930 to the 1936 season at Arsenal. 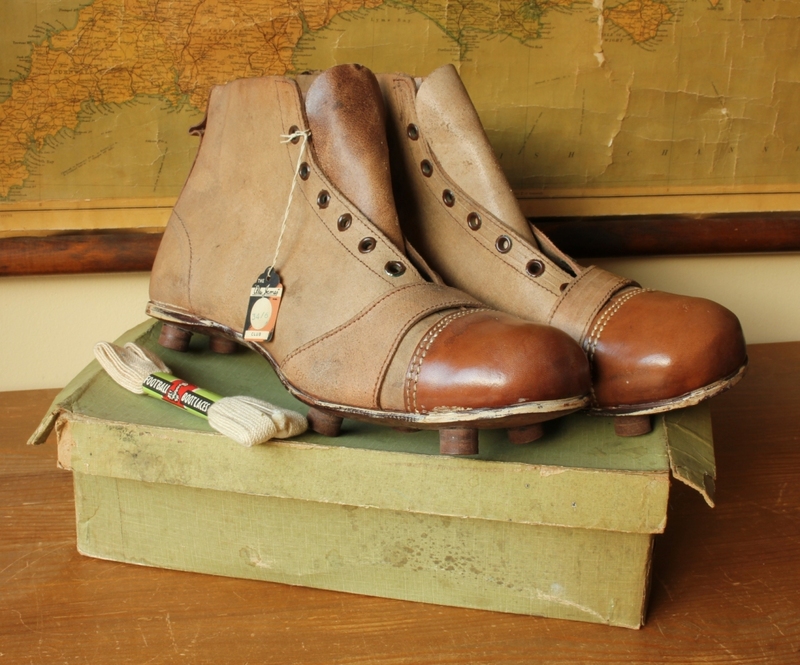 These boots in this condition are extra rare and they would make a stunning addition to a football boot collection or a museum piece. Length: 30.5 cm / 12" approx. Condition: New unworn condition with some light marks, scuffs and spotting from storage. Some light fading. Some oxidation to eyelets. Box is tatty with tears. Please see pictures.